Across Ontario, communities, organizations, schools, friends, and families will come together this February to recognize and celebrate Black History Month. The contributions of Black Canadians are deeply woven into our history, and their achievements are ever present as we face a world of transformative change. When I think of Black History Month, I am reminded of my predecessor Lincoln Alexander. Mr. Alexander lived courageously, selflessly, and resolutely and is remembered fondly with respect and admiration. 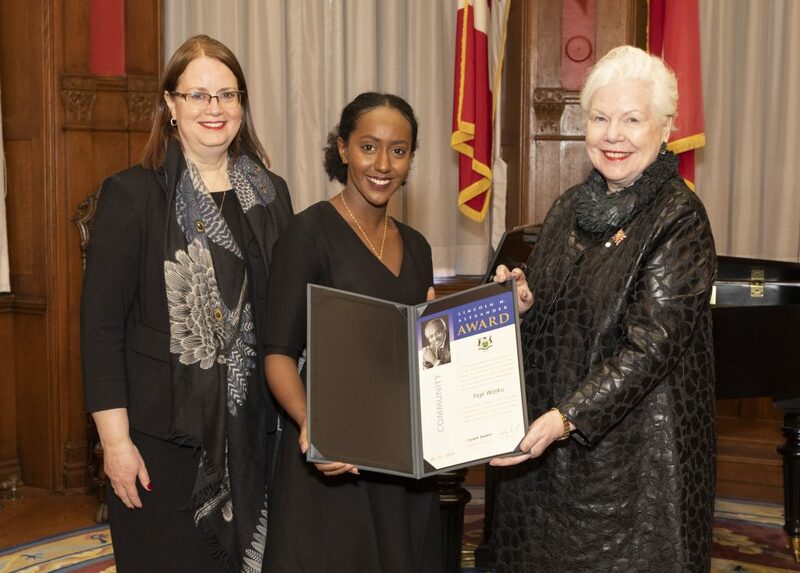 His legacy is exemplified through the Lincoln Alexander Awards, presented every year at Queen’s Park to people like Fiqir Worku, who earned the 2018 Community Award for her leadership in creating the Racial Advocacy for Inclusion, Solidarity and Equity (RAISE) centre at the University of Waterloo. Leaders like Fiqir and Lincoln, with empathy and compassion, inspire us all to dedicate ourselves to meaningful and productive change. I embrace this year’s Black History Month theme, Black Canadian Youth: Boundless, Rooted and Proud. I have witnessed how the activism and vision of young Black leaders are creating a more inclusive society and richer, more diverse dialogues in all areas, including the arts, business, law, medicine, technology, and innovation. It is through the eyes of our youth that we see ourselves and our legacy most keenly, and it is to honour them that we celebrate the accomplishments of those Black Canadians who broke barriers, and blazed trails. May we all share their stories so that we empower the next generation to continue building a province and country that work for everyone.